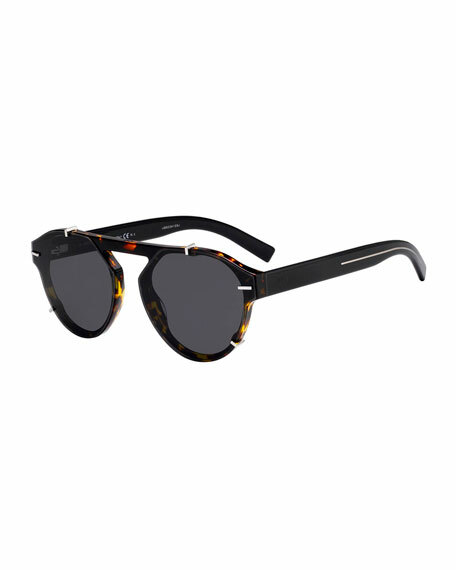 Dior Optyl acetate sunglasses with almost-flat lenses. Round frames with metal clips around lenses. Eye/bridge/temple (in mm): 62-15-150. Wide, tapered arms. 100% UVA/UVB protection. Made in Italy.